What Can Eide CDJR Pine City Help You With Today? Looking to fix up your automotive situation? Then you will be excited to find out the Eide CDJR Pine City team is ready and willing to utilize their knowledge to help you uncover the best path ahead. Whether we are dig deeper into the great new Chrysler, Dodge, Jeep, and Ram automobiles found at our convenient Pine City location or creating a connection to the best selection of parts and maintenance, we are sure the outstanding group of Chrysler, Dodge, Jeep, and Ram experts at Eide CDJR Pine City have the ability to help you figure out the right course of action for you. Interested in learning more about which department has what you are looking for in your next trip to Eide CDJR Pine City? Then go ahead and join us as we point you in the right direction and help you reach out to the correct group of certified Eide CDJR Pine City experts. When it comes to new and used car sales, no one stands above the Eide CDJR Pine City team in Pine City. From bringing you up to speed with all of the latest new cars from Chrysler, Dodge, Jeep, and Ram to putting you on track for the right used automobile (including Certified Pre-Owned Chrysler, Dodge, Jeep, or Ram vehicles and selections from other brands) that fits smoothly into your daily duties and fiscal concerns, we can give you access to the data you require to make a smart, well-reasoned choice. The best part about connecting with our sales group? Our professionals make it a point to always give you the space you need to make the right decision for you and your family. Only when you are ready to take the next step will one of our friendly sales experts give you the assistance necessary for you to move closer to the new car that is right for you. 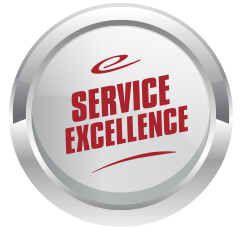 Whether it is time to tune up your engine or you could use a little help putting the pieces back together after a sudden breakdown, Eide CDJR Pine City wants you to know one thing: We are the top provider of outstanding service that is expedient, affordable, and always taken care of by trained Chrysler, Dodge, Jeep, and Ram mechanics. 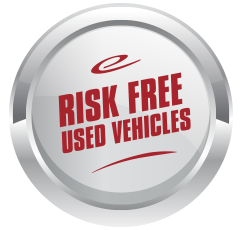 Own a automobile that comes from another automaker? Then that is perfectly fine. Our skilled automotive experts are ready and willing to service all manner of cars, trucks, and sport utility vehicles (SUVs) when it comes to both typical maintenance and unexpected repairs. For those of you who are looking to take care of a repair by yourself, you will be pleased to learn our committed team of parts staff members can help get the part you need in no time. 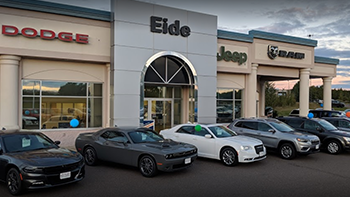 From original equipment manufacturer (OEM) Chrysler, Dodge, Jeep, or Ram parts to a plethora of other offerings that can help you tackle the service or repair needed on virtually any automobile possible, we are certain the part you need is here for you now at Eide CDJR Pine City. That being said, we offer up so much more at Eide CDJR Pine City than just access to the largest inventory of Chrysler, Dodge, Jeep, and Ram OEM parts in Pine City. By bringing your business to us, you will also get to take advantage of the best prices in town and an ironclad commitment to friendly, no-hassle service. Have Something Else on Your Mind? We Are Ready to Tackle It! Did we forget to cover something? Then tell us! Eide CDJR Pine City is eager to receive input from our respected customers, so make it a point to give us a ring if you have any questions, comments, or concerns you would like us to address. We will be ready and waiting to provide you with as much info as possible as we help you work your way through whatever question is currently on your plate. Now that you are prepped on the most effective ways to connect with the Eide CDJR Pine City team, as well as what each of our departments has to offer respected customers such as yourself, we really only have one more thing to say: Give us a call! 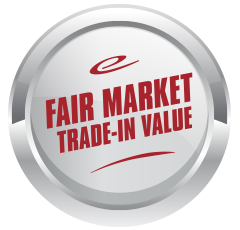 We cannot wait to connect with you today and ensure any time spent at Eide CDJR Pine City is without peer from the rest of the local marketplace.